Knowledge Base > Remal > How to add pattern background in Remal ? To set pattern for the background. Go to Remal > Styling tab . Set Background Type as pattern . Set the background color . 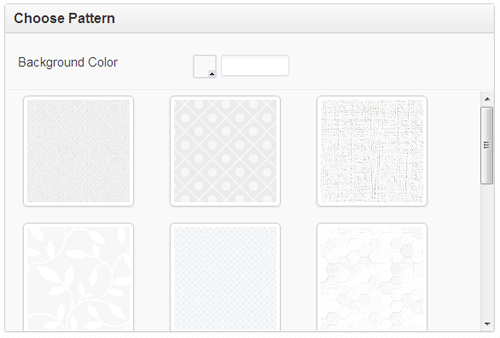 Select any of the patterns for the background image.